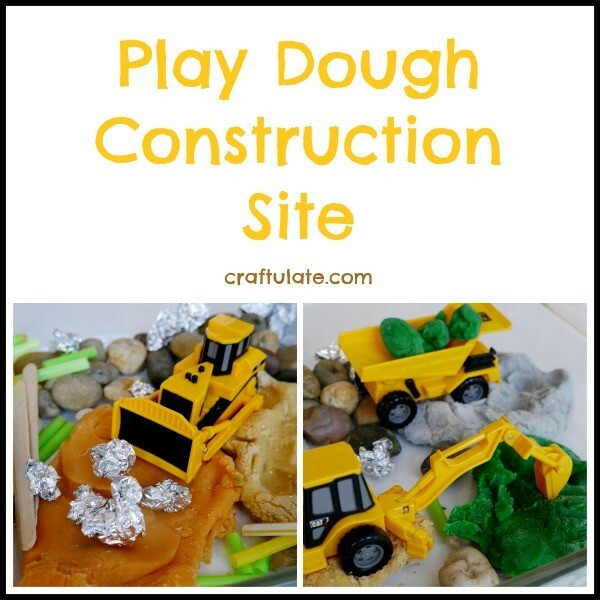 My son loves play dough, and he loves construction vehicles, so it was only a matter of time before we created a Play Dough Construction Site! 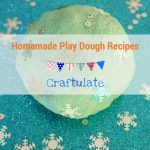 I *love* making play dough. Luckily, F likes playing with it but he is *very* neat with it and very rarely mixes up the different colors. It lasts a long time in our house! But recently I thought that some of the older batches of dough were maybe looking a bit scrappy, so I decided to use them as a base for a construction site scene. 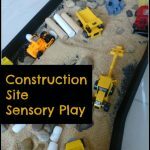 I’ve created something similar for him before using grains and sand as a base with our Construction Site Sensory Play. But that was nearly 1.5 years ago and I think his capacity for pretend play has increased massively since then. In a large baking dish I placed several different kinds of play dough (if you look carefully you’ll see that the silver and gold play dough is actually sparkly!). 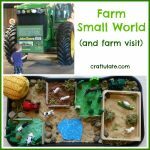 Then I added cut-up straws, craft sticks, screwed up pieces of kitchen foil, pebbles, and some toy construction vehicles. 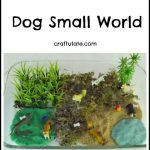 He was immediately drawn to it and spent a long time playing with it in different ways. He scooped up dough with the excavator and loaded it into the back of the dump truck. He made prints in the play dough using the different wheels and tracks from the vehicles. The bulldozer moved things around. 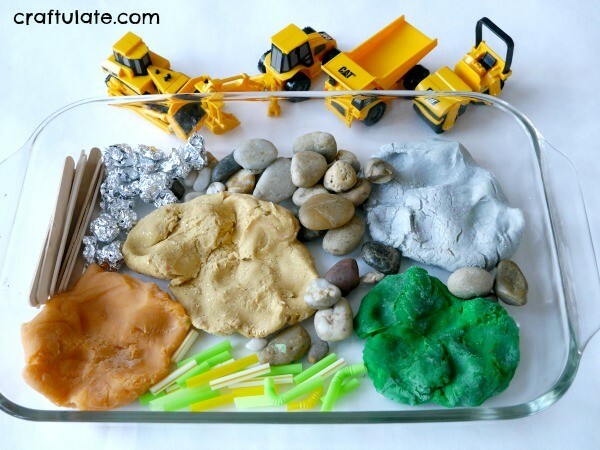 Plus the roller made the play dough all smooth, and the dump truck did lots of dumping! It was so hard to get photos of everything that he’d done, and I was so pleased he enjoyed it. By the end of a long play session the doughs were still unmixed, but because they’d been left out uncovered they went sort of crusty on the outside. Oh well, I’ll just have to make some more. 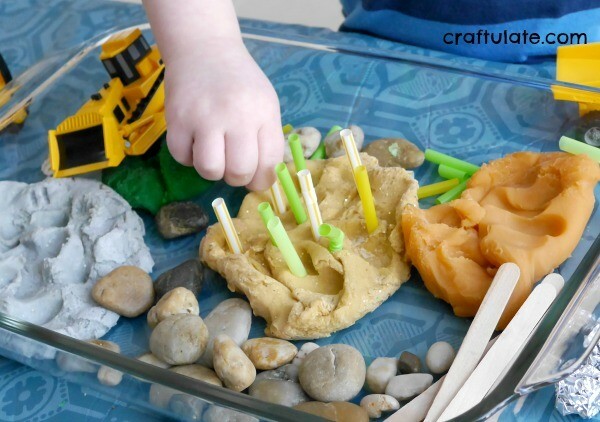 Maybe some more slow cooker play dough? Note: Actually, I didn’t throw away the play dough – I used it to make these Play Dough Filled Balloons!